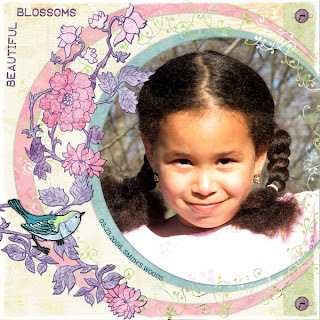 Moments In Time: Beautiful Blossoms - Sing Spring! Additional Credits: Fonts: Gill Sans Mt, Embossing Tape; Template and flourishes by Andrea Gold. Sanded overlay by Christine Smith.